Another undead series is staying alive. 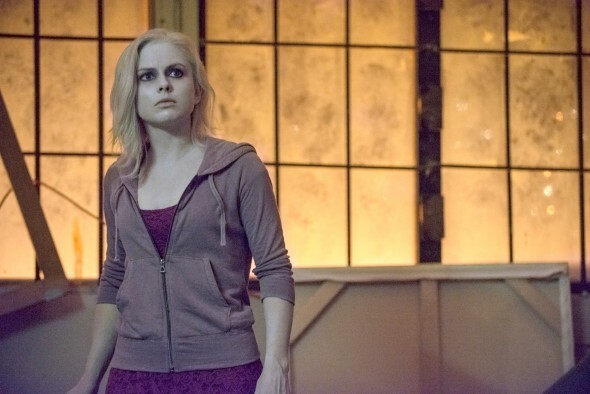 The CW has renewed their new iZombie TV show for a second season. Loosely based on a comic book series, iZombie revolves around an over-achieving medical resident (Rose McIver) who ends up as a zombie. She’s able to keep her new condition a secret from her loved ones and, thanks to knowledge gained from dining on cadaver brains, is also able to help the police solve murders. The rest of the cast includes Malcolm Goodwin, Rahul Kohli, Robert Buckley, and David Anders. The show has been a middling performer for the network. It debuted in mid-March and has averaged a 0.7 rating in the 18-49 demographic with 1.85 million viewers. Most of The CW’s shows were already been picked up for next season months ago. Today, executive producer Rob Thomas announced via Twitter that iZombie would be back as well. No word on when season two will begin airing but it looks like the first season will complete in early June. What do you think? Do you like the iZombie series? Are you glad that it’s been renewed for a second season? I’m excited for season two because the way they left season one was just a complete cliff hanger. So i’m very super excited to watch it and see how they play the rest of the season. I liked the show, mainly because of its interesting science fiction trope of the heroine acquiring the skills and knowledge of the people whose brains she consumes. They could end the series someday with the feds hiring Olivia, because she eventually became an omni-versal genius, to solve the world’s biggest problems, due to her incrementing super intelligence! Well written, well acted, love the show. Hope it’s here to stay. I’m so happy it. Was renewed! Great show! Nice balance of creepy and crime. Very glad it was renewed. Rose is great, she reminds me of Buffy. Can’t wait for season 2. Boring towards the end for me so I stopped watching it. This show is different and I love it. It’s a person living in everyday life being a zombie. I love the plot and I hope there are many more seasons with this show! I Absolutely LOVE this series watch it non stop never know what is going to happen next!!!!!! So stoked the show was renewed for a second season. I look forward to Tuesday nights. I am a long time fan of Zombie movies and have watched George Romero flicks since I was a kid in the 80’s. This has that awesome combo of zombies with a dash of humor and a side of gore. I love this show! Can hardly wait for season 2.